Chandramohan Mehra, CMO, Bajaj Allianz Life Insurance shares the Bajaj Allianz – Dabboo Uncle partnership and behind the scenes of getting the viral sensation on board for a campaign. It was just another day in the life of Chandramohan Mehra, CMO Bajaj Allianz Life, until he received a video of the dancing uncle on one of his WhatsApp group. Mehra thoroughly enjoyed the video and was all ready to move on, until he started receiving the video through multiple source. Mehra then realized that Dabboo Uncle has gone viral and here is the perfect real time marketing opportunity. “The type of coverage that he got from brands like BBC and Gulf News, I realised he had become no less than an international celebrity. And around the corner we had this bonus declaration to policyholders which was something beyond during the purchase of the policy. 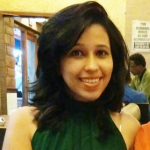 The thought was why not ride on this enormous popularity of Sanjeev Srivastava, if he can create content which is relatable to the message – it can have inorganic wide reach,” shared Mehra. While everyone kept talking about the 45-year old dancing uncle who is also a professor, insurance major Bajaj Allianz grabbed the opportunity and roped him to feature in their latest #LifeGoalsDone campaign. The insurance major reached out to Sanjeev Srivastava aka Dabboo the Dancer through his Facebook page. Later it was found out that he actually operates from the username Dabboo Srivastava. The company got to know that Srivastava was called by the Chief Minister of Madhya Pradesh to sign on a deal to promote a cause. “If we would have delayed the processing, we would have lost the wave,” Mehra remembers. Sanjeev Srivastava promised the company to share the video by that evening. He was at the CM’s office till 8 late in the evening and then he had to reach back to Vidisha, his hometown. Being the man he is, at 11.30 PM he shot the video, while Bajaj Allianz already had the background score created for the campaign. Srivastava’s wife recorded the video and shared it with the insurance company in the night. The video when released had enormous virality. Within a span of 3 days, it received 4.5 million views. It had a massive PR coverage of how Bajaj Allianz went onto become the first commercial brand endorsed by Dabboo Srivastava. “Most importantly we were able to ride on the wave, deliver the message. We had two things in our mind- swiftness and the relevance of the message- which were crucial in this case,” noted Mehra. Further he shares some insights on getting the moment marketing done right and how feasible it is. If you are able to ride on the wave swiftly and the relevance of your message is intact you can create brand buzz and audience engagement in a short span of time. the window is limited. if you amplify the opportunity well and move fast, it works. But then it cannot be a long term brand strategy. It has to be a short as the viral sensation itself. Primarily a lot depends on agility embedded in the organisation culture at the macro and the functional level. Apart from this, there has to be empowerment which is also very crucial. Third is clarity about what the brand stands for, relevance of the message, trend you can ride on, existing business opportunities you can connect with such trends. I don’t think talent could be an issue. Some of the brands have been built on moment marketing like Amul which is been doing this for several years. Brands have latched onto this phenomenon many a times and best depends on the opportunities they use. Given our brand reorientation journey, we have seen that life insurance is more about benefits. So this collective belief of ours is basically the foundation of marketing strategy. Objective of any marketer is to evoke higher level of trust and interest among the consumers. There are a series of initiatives that we have done and digital media becomes so relevant to fuel the conversation around life goals. The message should have a level of shareability and we were able to get this right by leveraging on Dancing Uncle. 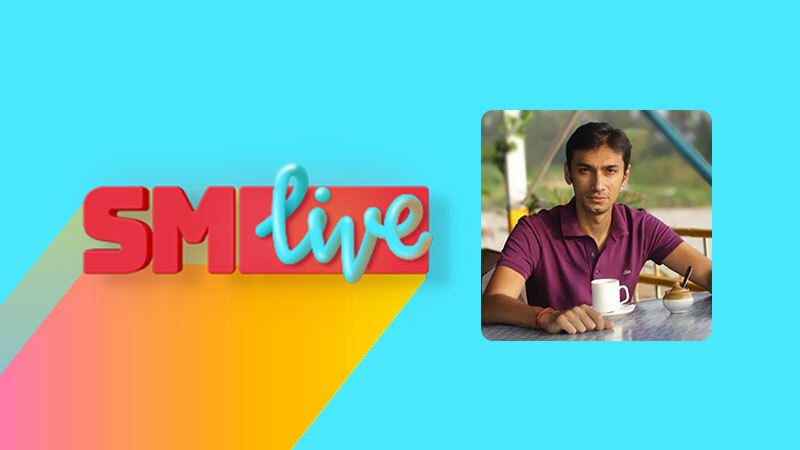 Chandramohan Mehra, CMO, Bajaj Allianz Life Insurance was speaking at the live session of India’s first live conference SMLive 2018.